If you’ve got a business in the Arts, Crafts, Design or Media & Technology sectors in the West of Ireland, South East of Northern Ireland or Northern Finland, you can apply for Support to Exhibit at an International Trade Fair. This support is available under the EU co-funded a creative momentum project which runs MyCreativeEdge.eu. The deadline to apply for this support has been extended to midnight, Sunday 12 March. Exhibiting at a Trade event, such as a Trade Show, Film Festival or Trade Fair in your target market is the most effective route to export markets for many creative enterprises. Having the chance to meet face-to-face with retailers, distributors and commercial clients and showcase your work to them in person is often the only way to break into new markets. However the cost can be very high for many creative enterprises, especially if you’re based in Europe’s Northern Edge. Maria Gullsten, who is Executive Producer at Flatlight Creative House based in Rovaniemi, Finland received support last year to attend Cannes Lions. Enterprises selected for this support will receive support of 50% of total eligible costs (up to a maximum of €2,500 per enterprise) to attend a Trade event in Europe before 31 March 2018. The purpose for attending must be to increase international business. Applicants are free to select whatever Trade Fair / Trade Show / Festival / Marketplace they wish to exhibit at, but must clearly show they have researched why this is the best event for their business. David Henderson of David Henderson Design received support last year to participate in the Web Summit in Lisbon. Applicants must be registered on the re-developed MyCreativeEdge.eu and to have published a Profile on the new site, to be eligible. To apply, complete the online application form here. You can download a Word version of the application form on right hand menu, so you can prepare responses in advance (See Downloads section), but applications must be submitted through the online form. 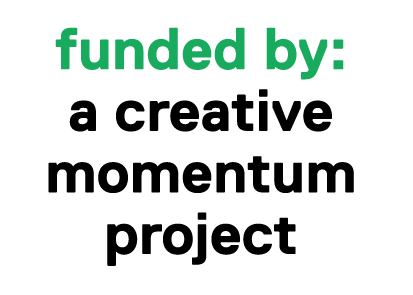 a creative momentum project is a three-year, transnational project co-funded by the EU Interreg Northern Periphery and Arctic (NPA) Programme.